This is some stuff to make you sigh in contentment. I grew up eating bread pudding as a dessert. Mom made it in order to efficiently use aging bread as a dessert. This is not low calorie, low fat or gluten free. It is, however, chocked with wonderful memories for me. This is my Sweet Baboo's version drawing from several of our female ancestors' versions. It makes a very nice transportable dessert since it lies flat in a casserole dish covered by plastic. Easy to heat. Delightful to eat. I even make it sometimes with whole wheat bread to give you some fiber. Bake at 350 degrees just until set. Serve warm, room temperature or even cold with lemon sauce. 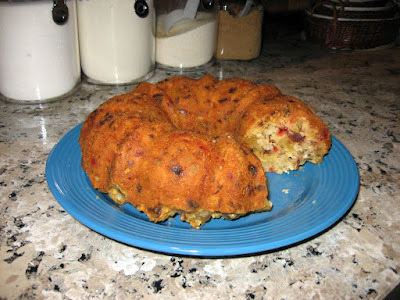 In 1 quart sauce combine: 1 1/4 cups water, 1/2 cup sugar, 2 tsp grated lemon peel, 1/4 cup lemon juice, 1 1/2 TBSP corn starch. Mix well. Cook and stir until thickened. That's it. To serve, just plop a big old spoonful of this stuff in a bowl, pour some lemon sauce over it, and enjoy. The ingredients are sort of a medium version. You may want to adjust spices or ingredients to your tastes. There's a bit of "the hand of the chef" in this stuff. I even use whole wheat bread in mine. I tear up whatever bread is laying around including burger buns and hot dog buns. Bread is bread. And I double the lemon sauce because I like lots of sauce, but then that's me. Feel free to ignore any or my alterations. 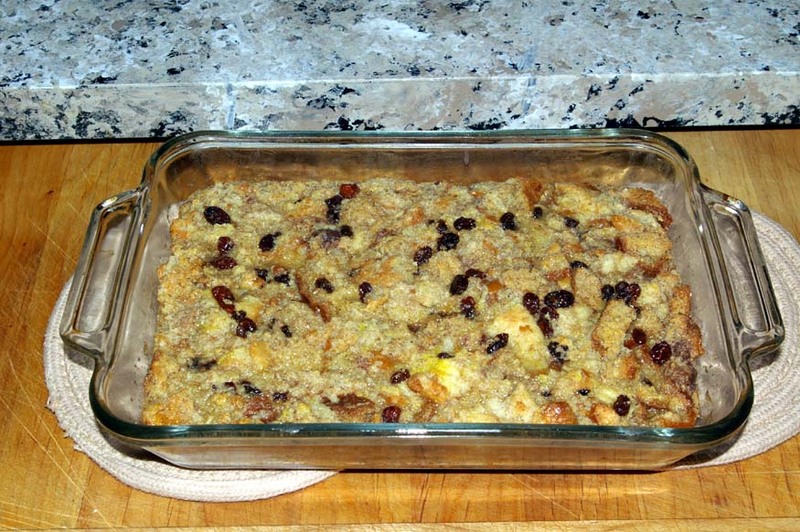 Mom's Bread Pudding never fails. 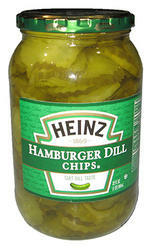 If you like sweet pickles at all, you'll love these. My grandmother (we called her Honeymama) used to make these and whenever she had a jar in the fridge, I was there to mooch 'em. Nothing better in the world than a longhorn cheese sandwich on whole wheat bread with Kraft Mayo, a slice of fresh tomato still warm from the garden and several candied dill chips. 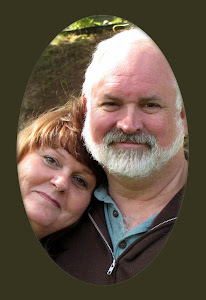 She taught me how to make them, in self-defense I think, hoping I'd ease up on her supply. Oh, and you needed a tall cold Dr. Pepper in the return-for-deposit bottle to go with it. The beauty of candied dills is you almost have to make them yourselves. 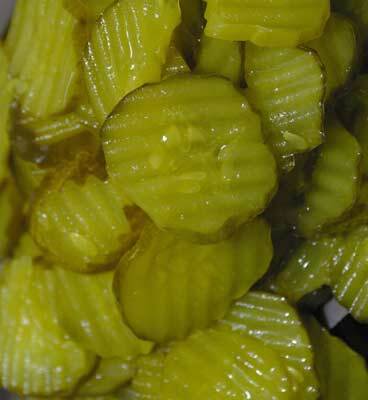 For some reason pickle makers have never mass produced candied dills for very long, if at all. Pour out the pickles into a collander and drain off the vinegar. Rinse the pickles with fresh vinegar. Rinse out the pickle jar. Pour part of the sugar into the jar. 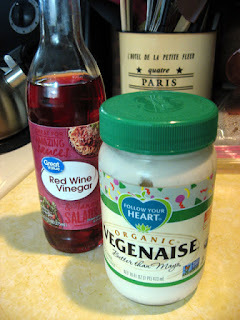 Pour vinegar over it to dissolve the sugar. Alternate sugar and vinegar till the jar is about 3/4 full of vinegar. 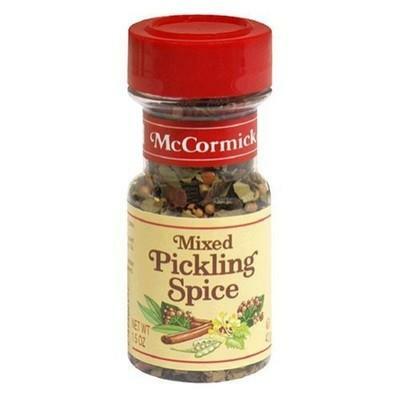 Measure 1 tablespoon of pickling spice onto a six inch square of cheesecloth. Wrap the cheesecloth around the spice and tie the open end securely with string. Put a sign on the jar threatening to chop off the fingers of anyone who gets into the jar without permission. Shake up the jar every day or two to promote complete dissolving of the sugar on the bottom of the jar. Open the lid and sniff. It doesn't help any, but it's good for your morale during the curing process. Wait at least two weeks for the sugar and spice to permeate the pickles. About a week into the process, make another jar or two. You will need them because if the first jar lasts a week I'd be surprised. I make my own labels for these. I wondered why no commercial pickler made candied dills for a long time. Then, I found candied dills made by a small local boutique pickler named "Annies". She sold them through a special display at Brookshire's and charged $7 a pint for them. I used to buy them when I couldn't wait for a new batch to cure. They are that danged good! Annie even sells one variety of candied pickles that have jalapenos in them. Those are really good too. I may try a batch of Honeymom's candied dills with a few jalapenos tossed in to give it a little kick. I'll let you know how it turns out. I came into possession of some vegan mayonnaise. I was skeptical at first but the stuff turned out to be really really good. Made with all the usual ingredients, the only thing different is the vegan mayo. It makes up to a huge bowl of Cole slaw for potluck. As with fresh made Cole Slaw, if you set it in the fridge overnight you may get some settling of the thinner parts of the dressing in the bottom of the bowl. Just toss it all again or pour off any water that settles and it’ll be great. - 3 cups grated carrots. Refrigerate in a sealed bowl until ready to use. better than twice that much Cole slaw. This my Sweet Baboo's favorite Cole slaw recipe from our box o' old recipes under the kitchen cabinet. It's easy to make and it's a huge bowl of Cole slaw when you're done - perfect for potluck. It's not that hard to do. Crush the Ramen Noodles in a large bowl. Store in a Ziplock bag. 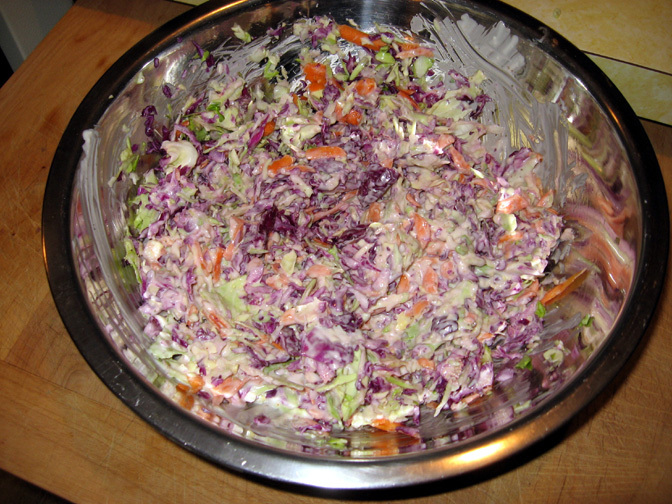 Put Cole Slaw mix in a large bowl or Tupperware container. 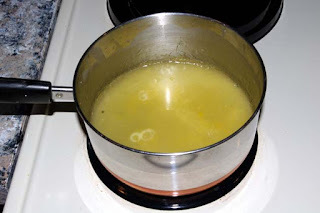 In small frying pan melt butter and brown the slivered almonds. 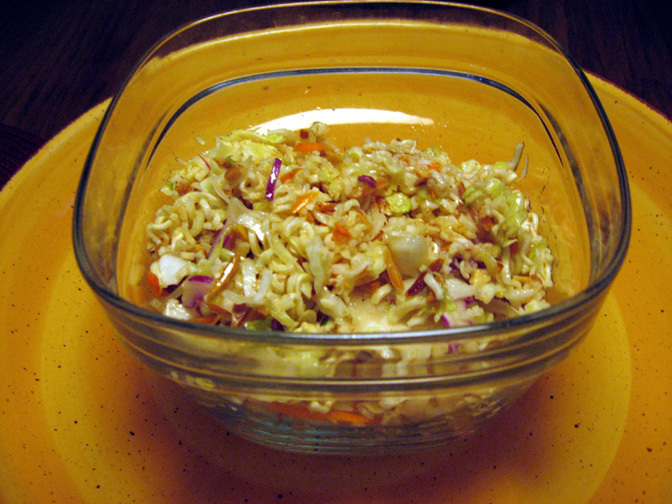 Mix almonds into slaw and noodle mix. 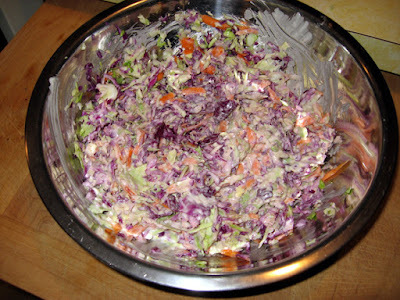 Pour dressing over slaw mix and toss till everything is evenly coated. Keep the crushed Ramen noodles separate and don't add them until just before you serve it up. Put the Cole slaw in a big Tupperware bowl, seal and store in the fridge overnight so it's nice and cold for potluck on Sabbath. Just before you serve it, pour the Ramen noodles into the slaw and give it a good toss. This dessert is a sure potluck hit. You should double or triple the recipe. It looks nice in a big yellow mixing bowl which I recommend everyone get because, well, everyone should have a big yellow glass mixing bowl. There are easier ways to make banana pudding, but no Jello mix can quite compete. You can't make it like this out of a box. 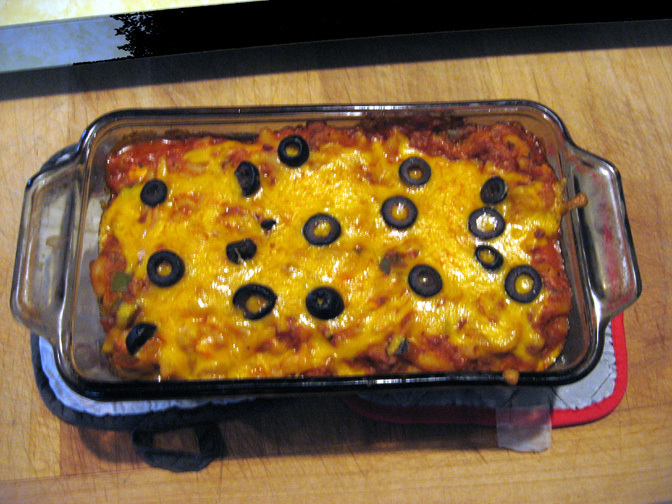 Between the cooking time, the assembly time, and making up the topping, it can take an hour to put it all together. It’s very much worth it. It’s easy to double or triple the recipe. You just have to be really careful keeping it stirred while cooking a very large batch so it doesn’t burn on the bottom of the pot. 1/2 Cup Sugar or you can substitute Stevia or something like that to lower the calories. You just have to change the prep a bit. 3 Egg Yolks, Save the egg whites for making meringue if you plan to do that. In a large pot or saucepan, mix flour, egg yolks (beaten), milk and salt. If using sugar add it now. If using artificial sweetner, set it aside till after the pudding is cooked as heat will kill the sweetness. Heat over medium eat, stirring constantly with a wire whisk. It takes around 15 minutes for the pudding to thicken. Don’t let it scorch. When the pudding thickens and begins to bubble, remove it from the heat and set it aside to begin to cool. Add vanilla when it's cooled a bit and stir it up good. In your big yellow mixing bowl, place a layer of vanilla wavers in the bottom of the bowl. If making a double or triple batch, make sure you have an extra bowl or a really, really big bowl. If using artificial sweetener (which will cause diabetics in the group to kiss you feet) stir the sweetener into the pudding. Just follow the replacement amounts on the box of sweetener. At any rate, with your pudding ready to go, every few layers, spoon the pudding over the cookies and bananas. Add more cookies and bananas and pudding layers until you fill up the bowl. At this point you should preheat the oven to 350 degrees if you are doing meringue. If you are doing Cool Whip skip to step #13. Place all the egg whites in another mixing bowl. Add a teaspoon of cream of tartar and 3/4 cup of sugar or sweetener two tablespoons at a time while beating the egg whites. It could take up to 15 minutes. Continue whipping egg mixture till it forms stiff glossy peaks. Pour meringue mixture over the top of the banana pudding; spread it out over the bowl. Dab at the top of the meringue with a spoon till curly peaks form. 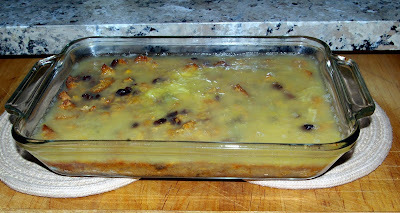 Set the pudding on a baking sheet and bake in the hot oven till the peaks begin to brown. Remove the pudding and allow it to cool to room temperature, and then chill in the refrigerator. Do not put hot meringue straight out of the oven in the refrigerator. It will collapse as I discovered the hard way. 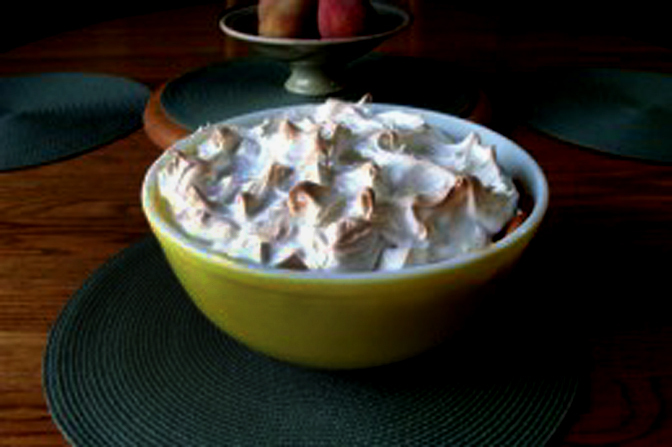 If you’re doing Cool Whip instead of meringue, wait till the pudding cools at least to slightly warm and then spoon whipped topping over the top of the pudding. At this point I add cookies in decorative patterns on top of the topping. 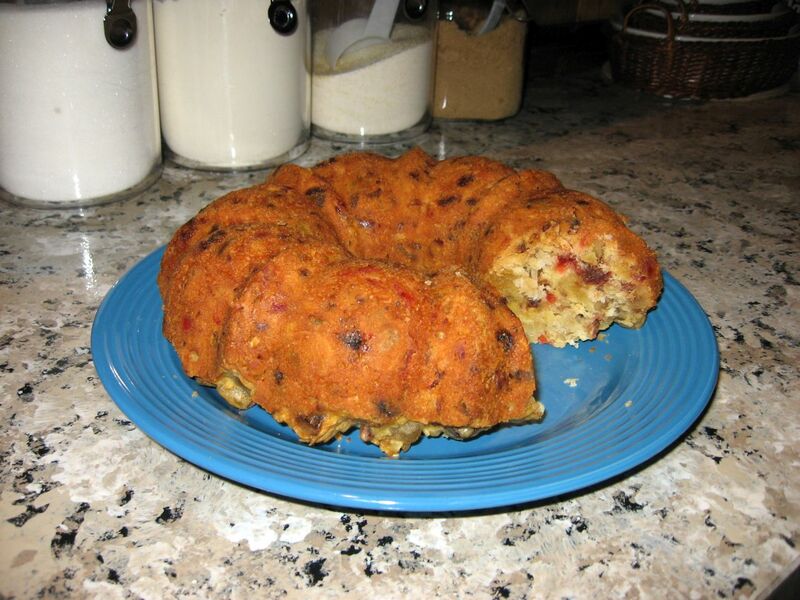 You may have to padlock the refrigerator door while the pudding is cooling. Otherwise, you may get up Sabbath morning and find a big hole in your pudding. This part’s simple. Pull off the plastic, stick a big spoon in it and get out of the way. I promise you that you will be taking home a nice clean bowl. 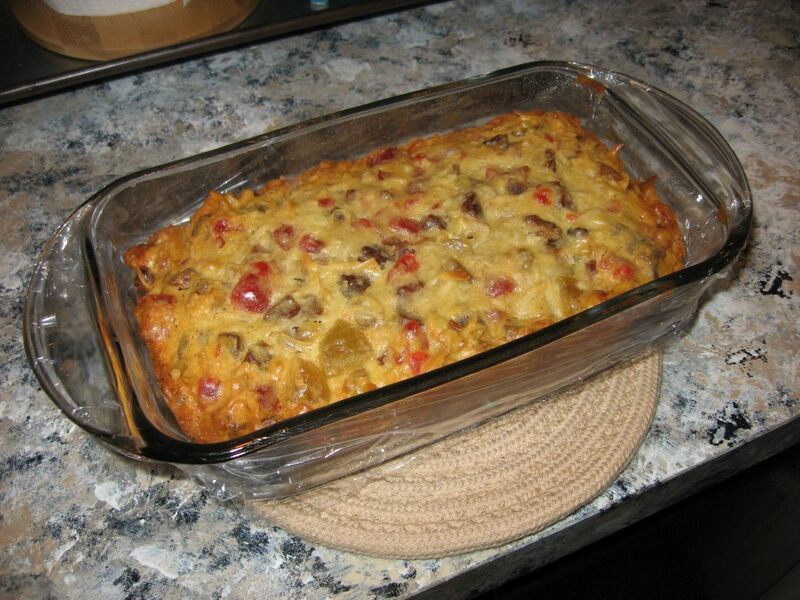 This one is very like the Vege-Cheeseburger Macaroni Casserole in my last blog. It's just a little simpler and maybe a little quicker. Here's how it works. Cook the macaroni by package directions. In a large pot, lightly cover the bottom with olive oil. Saute onions and peppers with Griller Crumbles. Add spaghetti sauce and prepared mac and cheese. Bake 15-20 minutes until the cheese is melted and begins to brown. Bake on Friday. Simply reheat for Sabbath Potluck.